Prepare yourself for E3's hardware announcements by seeing how much you know about classic consoles in this week's quiz. E3 is approaching, and with it comes the tradition of announcing new gaming hardware. Soon you'll be up-to-date on all the latest in consoles - as Dr. Carl Sagan said, however, "You have to know the past to understand the present," and that's what we're here for. 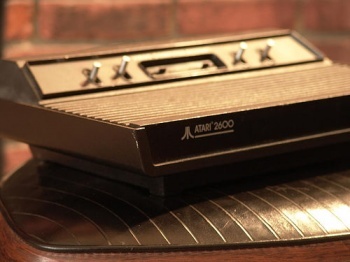 So tell us, how much do you know about the history of gaming consoles? Oh, and for those who claim that console games are simpler than their PC brethren, rest assured that this quiz is anything but. Good luck, and breathe easy - at least if you fail here, you won't be shoveled into a New Mexico landfill.